Shelf Inflicted: Merry Christmas To All, and To All a Good Night! Working in a library, I come across a wide variety of books. 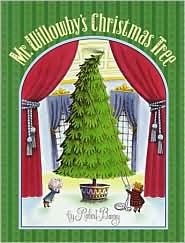 Lately I've read several charming Christmas books for children, which I will happily share with you on this festive day. -- Diane K. M.
This is my favorite Christmas story. 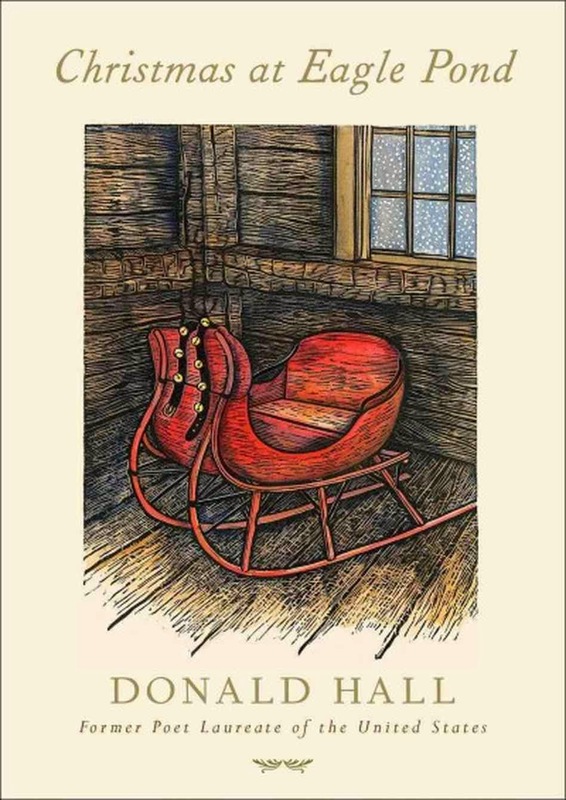 It is a lovely novella about a boy visiting his grandparents' farm in New Hampshire during Christmas in 1940. Donnie helps with the chores, makes popcorn balls to decorate the tree, listens to his grandfather's stories and gets to attend the church's big Christmas party. On Christmas Day they have a feast -- everything but the salt and pepper came from the farm -- and they share more family stories. And because there was plenty of snow, Donnie is even treated with a sleigh ride! 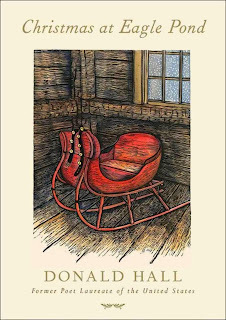 This book brought back fond memories of Christmas visits to my grandparents' farm when I was young, and if my grandmother were still alive, I would share this wonderful story with her. Be sure to read the author's note at the end, for it makes the book especially sweet. 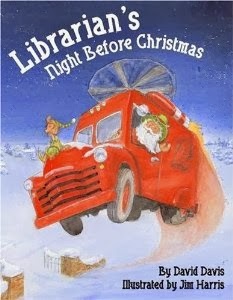 This is a cute book about a librarian who has to spend Christmas Eve working at the library. She's toiling away, shelving books and mending torn pages, when a red bookmobile driven by Santa appears! Santa and his elves jump out to help her. And I could tell by his diction he was very well read. Then he whistled in elves pushing loaded book carts. And for the more macho, they supplied Hemingway. And sneaked in romances for sweet Molly McNast." After restacking the books, reading to children and enjoying some hot chocolate, Santa and the elves get ready to leave. 'The best gift of all is a library card!'" 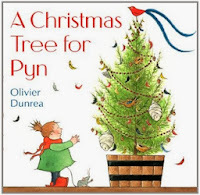 The drawings are lovely and festive, and I would recommend the book to any parents wanting to spread some bookish cheer with their kids. This is a marvelous Christmas story for children. It's about a mountain man named Oother and his daughter Pyn, who is excited to have her first Christmas tree. But first she has to convince her papa to get a tree -- he is resistant and frankly, a bit grouchy about the holiday. He doesn't even like Pyn to call him Papa -- she calls him Oother. Finally, when he picks up his ax and goes out into the woods, Pyn tries to follow him, but the snow is so high that she needs help. Oother picks her up and they march into the woods to find the perfect Christmas tree. When they get it home, Pyn shows Oother how good she is at decorating it, and Oother surprises her by having a beautiful topping for the tree. The pictures are wonderful and Pyn's joy jumps off the page. I wanted to pick her up and give her a hug. The sweet ending brought a tear to my eye. Highly recommended! I think children will enjoy the delightful pictures and the series of homes where the tree ends up. The book was first published in 1963, and it is a classic Christmas story, complete with lots of sharing, joy and an ending that refers to the beginning. It's the tree that keeps giving!